Pennsylvania Attorney General Josh Shapiro. The Pennsylvania Attorney General's Office sued five mortgage foreclosure companies and their owners on Wednesday, alleging the firms scammed vulnerable homeowners into paying $280,000 for services they never received. The civil lawsuit claims companies owned by Mark Goldstein and Drew Alia tricked consumers into paying sometimes thousands of dollars for mortgage modifications or home loan audits they didn't produce. The companies instructed homeowners not to contact their mortgage lenders or make any payments, and in some cases victims lost their homes or filed for bankruptcy, according to the complaint. The lawsuit seeks more than $280,000 in restitution for 21 Pennsylvania homeowners and nearly 50 other victims. In addition, the Attorney General's Office wants to impose fines and bar the defendants from doing business involving mortgages. 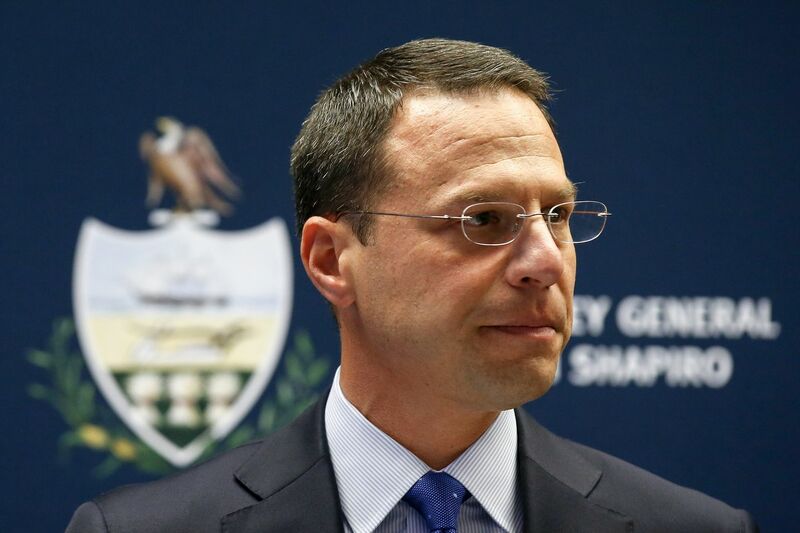 "Defendants Mark Goldstein, Drew Alia, and their companies preyed upon dozens of Pennsylvanians and other consumers who thought they were making a smart decision for their home and family," Attorney General Josh Shapiro said in a statement. "I'm suing to get restitution for every person and hold these companies accountable." Goldstein, Alia, and the five Philadelphia-based companies — GMK Solutions, the Foreclosure Law Center, Century Legal Group, Alia Law Group, and the Law Office of Drew Alia — did not return messages or could not be reached. Victims of the scam hoped to lower their monthly mortgage bills or save their homes from foreclosure, but some consumers ultimately lost their houses in sheriff's sales during the scam from 2008 to 2015, according to the Attorney General's Office. The complaint said defendants dodged calls from worried consumers and refused to offer refunds. One unidentified victim paid $3,500 up front for mortgage modification services and was assured by a Foreclosure Law Center paralegal that a sheriff's sale of the consumer's home had been stopped, according to the complaint. The home was sold anyway. Another victim, Kathleen Zang, paid $700 for a loan modification to keep her home out of foreclosure, but was contacted the night before a sheriff's sale and told to file for bankruptcy to delay the sale of her home, according to the Attorney General's Office. The Foreclosure Law Center failed to send paperwork needed to modify the consumer's loan, didn't guide her through bankruptcy process it recommended, and wouldn't refund her deposit, the complaint said. "The Foreclosure Law Center told me not to contact my mortgage company and they were handling everything on my behalf," Zang said in a statement provided by the Attorney General's Office. "I had to file for bankruptcy after I learned that communication was never made to keep my house — where my children and family lived. I was outraged after learning from my mortgage company that no one from the Foreclosure Law Center had been in touch with them." The lawsuit was filed in Philadelphia Common Pleas Court.